Life has a way of changing in an instant. Whether you are ready or not, sometimes things happen that are just out of your control. When life handed our friends the worst kind of sour lemon, they leaned on their faith, expertise of their doctors and community for support to see them through a parents' worst nightmare. They have emerged on the other side with the best possible outcome and grateful hearts for the support they received during something no parent should endure. 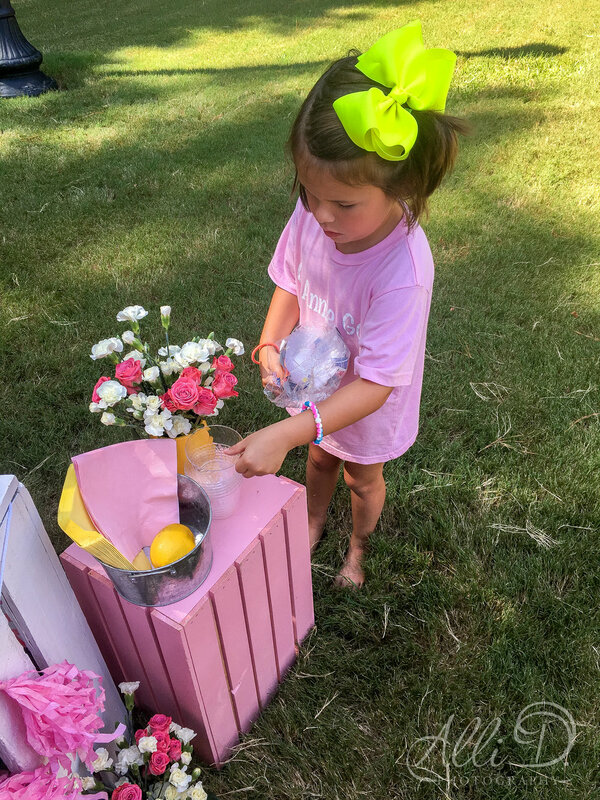 In one years time, a little girl fought her way back to life, recovered stronger than ever, and her parents turned their sour lemon into a positive contribution to Traumatic Brain Injury Research in Pediatrics, with The Annie Banannie Foundation. Our community got our girl back. 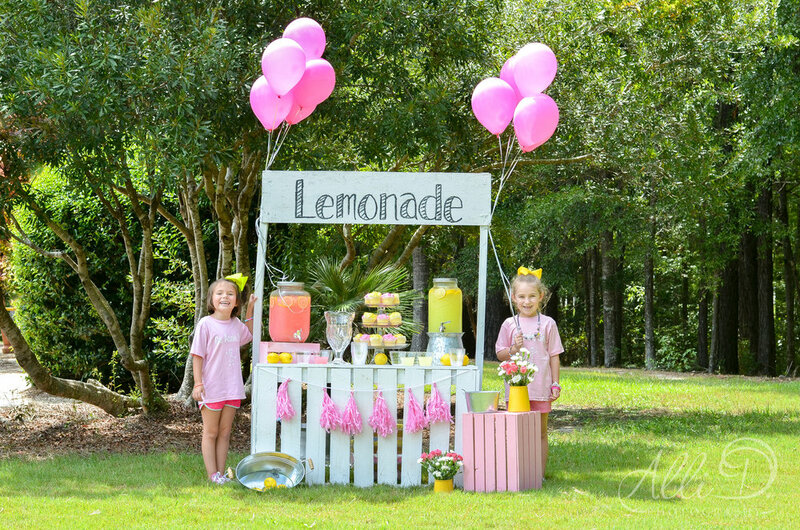 So from now on, we will drink lots and lots of lemonade! 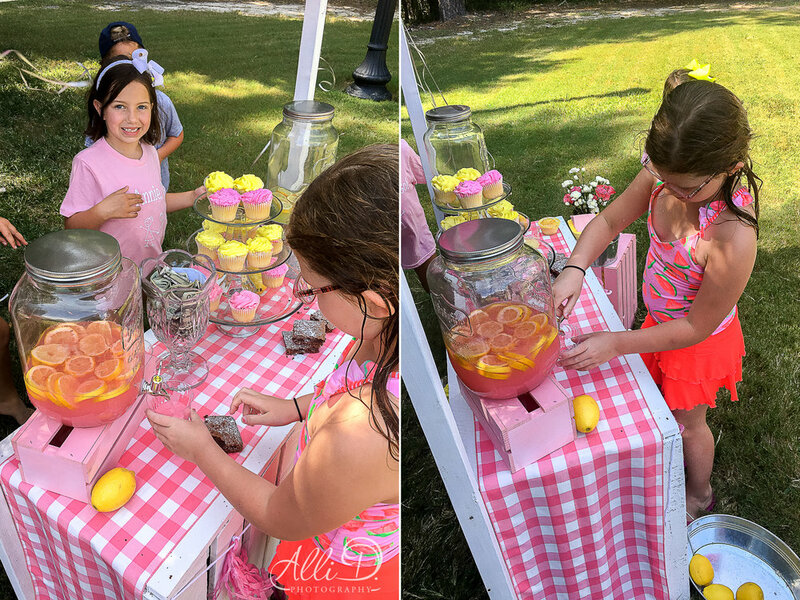 Thank you to everyone who joined us for the sweetest lemonade stand in town, and for your very generous donations! An especially big thank you to Publix, of Murrells Inlet for their donations of cupcakes for this celebratory event! Please join us later this year for the second annual Party on the Creek at Sunnyside Plantation, November 10, 2018! This is a fantastic event with many local donations for live and silent auctions for this amazing cause. Enjoy some images of the sweetest kids around, serving up lots of sugar! They sold every last drop!